Well, we are now 13 days from the wedding, and nine days from our flights from Key West to Portland. Apparently in the last week Portland has been getting a snowstorm. Of Snow. Our packing for the trip is now including digging out our boots and gloves and scarves. The biggest tasks I have left is to arrange the caretaking of our animals while we're gone and some extensive embroidery. The embroidery project will have to remain a secret for now though, as it is our gifts to our attendants. I'm looking forward to having a bit of a vacation, and the fact that we get to see a bunch of people we love and have a big party in the middle of it makes it that much better. Apparently ewedding.com changed something and didn't tell any of their customers. I fixed the link to the left so it should work again. I'm getting married in 15 days. Scott is making home-made chili tonight, a pot with steak for him and a pot with morningstar crumbles for me. I made some salsa and guacamole too, now I'm hanging on the couch trying not to eat ALL the guacamole. My salsa has been pretty popular down here, and my secret is using a little balsamic vinegar and at least three kinds of tomatoes. Scott and I Wii'd for the first time tonight... Some friends invited us for drinks, pizza, and Wii! It turns out I'm better at Wii bowling than real bowling, who knew!? Sunday Stinkerbell and I slept for about 15 hours straight. It did us both a lot of good. Since then I have managed to get about 7 hours of sleep a night - in increments of at least an hour and a half at a time, which is a vast improvement. I have been battling some pretty major muscle spasms, which made sleep difficult, and couldn't take much for them since my stomach wouldn't accept nourishment without wanting to return it. After losing four pounds in four days I forced myself to eat a few bites the last few nights and today followed a small sandwich with some naproxen which has already started working. My goal now is to get good sleep and hydration every day between now and the wedding (25 days for those that are counting). Oh yeah and to RELAX. Something that has helped already is that the vets that operated on Stinkerbell last week came into the store today. I described how she's doing and they assured me that she's healed enough that I can stop doping her and even take her off the pain meds. Knowing my baby is ok makes sleep much easier! For those who don't know, I have a problem with anxiety. (*WARNING - GRAPHIC ICKINESS FOLLOWING*) My anxiety attacks manifest by convincing my body to empty itself through every portal possible. As a child, when a boy I had a crush on sat down next to me I rushed off to the bathroom and threw up. This continued in high-school, and it's hard to convince your boyfriend that he doesn't gross you out when you puke after every make-out session. After a tragic breakup, I was unable to eat for about 5 days ( I tried, but it would just come back up) and the doctor finally told me I had to at least keep down a milkshake or she was going to admit me. I started medication around this time for depression and anxiety, I don't remember what the first one was, but one of them was Paxil. I've also been on Welbutrin before settling on Lexapro. About 5 years ago I had a major run in with the demon. A good friend had recently passed away at a very young age and I took it upon myself to try and take care of the family she left behind (husband and two kids) and the rest of our social group that was grieving. One Friday night I started throwing up and having diarrhea and it didn't stop. My mom came to rescue me and took me to her house. We turned off my cell phone and I spent the next four days going back and forth from her bed to her bathroom floor. I couldn't take any anti-diarrhea or anti-nausea meds because nothing would stay in either end. I was convinced I was going to die. I went to the ER and they gave me some fluids, and the next day I sat down with a counselor and started working on letting the stress go. I had to learn to not try and be "the strong one" and learn to accept help from my friends and loved ones instead of being the one giving all the help. It took me quite a while to get a handle on that. Fortunately, those that love me love me regardless of the fact that sometimes I am a puke and poop fountain. They know that I can get overwhelmed and need to take care of myself. The last week or so I have not slept well and starting on Thursday afternoon had some "bowel issues" that left me dehydrated and wiped out. When we got home from fetching Stinkerbell from the vet yesterday I was already struggling. As she came out of anesthesia it became clear that she was going to need constant supervision or sedation to keep her from licking and digging at her incision. I got the ok from the vet to give her a quarter of a Benadryl and then left her in Scott's care while I attempted to go to bed. When he came to bed I woke up and knew instantly that I was not ok. This was around 2am. He and the Stinker went to bed so he could make sure she was sleeping, and I took up residence on the bathroom floor. After a couple of phone calls and prayers from my mom and another friend, I went out to the back yard and just paced and tried to breathe. I sent out about 20 text messages asking for prayer and have had an overwhelming response from right after I sent them to this afternoon - everyone assuring me that they are praying hard for me and checking to see if I am ok.
Once I came inside I took a Benadryl myself and tried to sleep, finally getting about 20 minutes at a time until around 9am this morning, when I took another half Benadryl and relaxed enough to REALLY sleep. I am so thankful that God holds my life and plans. I don't need to worry about the details. Stress, you have not beaten me yet. Stinkerbell spent the day at the vet today getting her lady-bits un-lady-fied. She's stoned and wearing a collar to keep her from licking her incision. Shoulda, Coulda, Didn't Feel Like It. I SHOULD be preparing the few final invitations that I have recently gotten addresses for. Or planting the last of the new plants. Or doing laundry or putting it away. 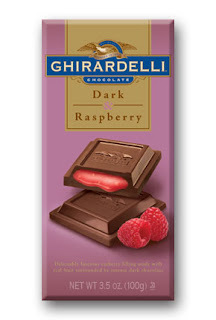 Instead I am watching American Idol (I've actually been impressed by several of the top 12 tonight), eating Ghirardelli chocolate with raspberry filling and considering having pizza for dinner, all the while wondering what that smell is and feeling sorry for myself because the scarlet macaw at work bit my lip today. My wedding is 32 days away. I'm taking the night off. Today I had the day off. Scott and I slept in until about 11am and then spent some time in the backyard enjoying the sun and a light breeze. Looking around our yard inspired us to take a trip to Home Depot. First we had breakfast at IHOP and then progressed on to THD for soil and plants. Once we got home we potted the new plants together and played with Buster until we ran out of soil and it got overcast and chilly. Inside, I unpacked four more boxes and then remodeled Tempura's new palace. As soon as I can find the charger to my camera I will post pictures of her new abode and ours. It's going to be hard though, because I'm pretty open and honest with pretty much everybody. 1. I'll probably become a vegan eventually. I'm a vegetarian now, but am just not quite ready to give up cheese. 2. I can't watch sad or over-dramatic movies. If they are too emotional I can't take it. Same with TV shows like "Moment of Truth". It's just too much drama for me. 3. I have a pet skunk. Okay, if you've read my blog at all, you've probably figured that out! 4. I would love to be an astronaut. It just takes a lot of school and I would have had to start a LONG time ago. 5. I have a very spoiled Hamster. Her name is Princess Tempura Buttfluff. 6. I'm a wanna-be chef. 7. When I was little I wished my name was "Michelle". Scott wants Buster to fly to Oregon with us for the wedding. He (Buster) is a 70 pound Boxer. He will be 10 in July. The wedding is only 41 days away and we fly in 37 days. It would be fun to have him with us in the week following the wedding while we are enjoying time in a cabin on Mt. Hood, but I'm not sure he's up to traveling in the underbelly of a jet plane.